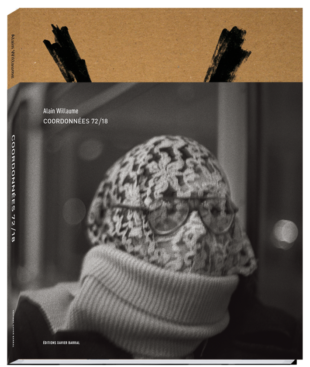 La Comète is organizing the launch of Alain Willaume’s new book, Coordonnées 72/18, new jewel of Editions Xavier Barral. This book covers more than 40 years of photography and travel away from the currents. Apart from any chronology, it is organized as a narrative anchored in a reality with dystopian accents. Between dread and serenity, the photographs of Alain Willaume immerse us in all the tension and the unstable beauty of our world. Drawing a kind of inventory, unraveling the skein of the past to better plunge into the future, different series of photographs are linked in a series of alerts trying to link and give meaning to innumerable visual cues: photographs, pages of personal diaries, maps, drawings, cutouts, screenshots, etc. They reveal a complex system of archiving sinuous and iconoclastic thoughts. This set of enigmatic and committed images tells the violence and the vulnerability of the world and the beings who inhabit it and alerts us to the condition of the landscapes, both powerful and suspended, and on the behavior of the man, sometimes threatening, sometimes vulnerable. 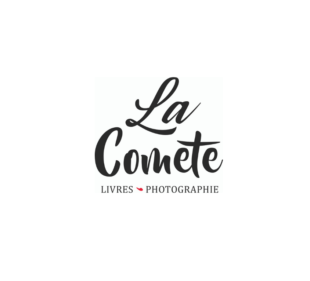 An introduction written by David Chandler (author, curator and critic) as well as texts by Gérard Haller (writer) contextualize the photographs of Alain Willaume accompanied, at the end of the book, detailed captions written by the photographer . Clinging to reality but far from any documentary notion, Alain Willaume’s work is inhabited by metaphor. Experiencer of forms, he develops a singular work in touch with the world that he furrows and observes with attention. Photographer, member of the Tendance Floue collective since 2010, Alain Willaume (1956) is also curator, art director and teacher (Strasbourg University of the Arts, Strasbourg, from 2003 to 2014) and Nancy National School of Art and Design since 2013). He was notably one of the curators of the INDIA exhibition program he initiated at the Rencontres d’Arles 2007. In 2008 in India, he was also artistic director of India Photo Now, a year of photography. His last monograph, Edge of the Gulf, was published and exhibited at the Rencontres d’Arles in 2003. He won the 1979 Kodak Prize for Photographic Criticism and the first prize in the Portraits category of the Sony World Photography Award 2011. He lives and works in Paris.